Nobody can match your kid's style in the Versace Kids™ Button Up Shirt. Print block design with stripes and filigree print. Product measurements were taken using size 9-10 Big Kids. Please note that measurements may vary by size. 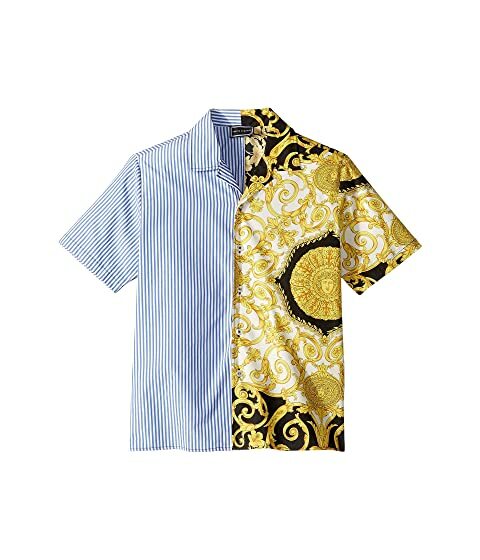 We can't currently find any similar items for the Button Up Shirt (Big Kids) by Versace Kids. Sorry!